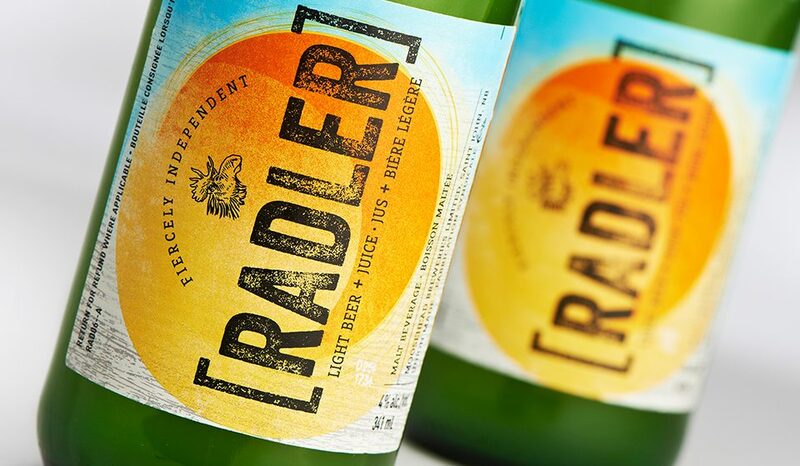 Shikatani Lacroix created a brand identity for the Moosehead Brewery's Moose Light Radler. 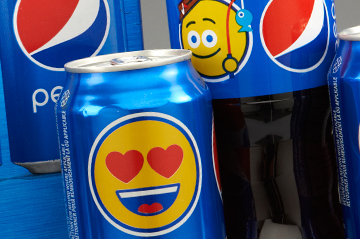 This product was meant to appeal to the experiential drinker, the product launched in Eastern Canada in May 2014. As a means to cater to a growing segment of beer consumers and move forward their line extensions and product innovations strategy, Moose Light launched a Radler-style beer. 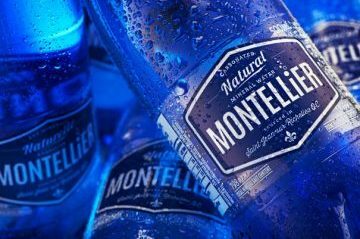 Consumers have come to expect new and innovative products from Moosehead, and they are looking for a light and refreshing product during the summer. Occasions that are perfect for this refreshing summer brew include barbecues, cottages, patios and summer parties. Radler’s have a long and interesting history in Europe, but have limited awareness in Atlantic Canada. Sometimes referred to as “Shandys,” Radlers generally consist of a mix of beer and juice to create a unique and refreshing consumption experience. Historically, Radlers become popular as an end-of-the-night drink, made using half lager and half soda/juice. 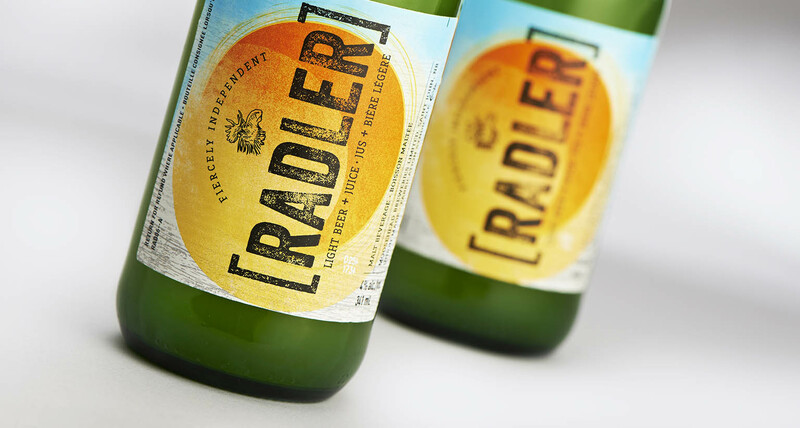 In Canada, it was expected that significant growth would occur in the Radler segment over the two years following the launch. 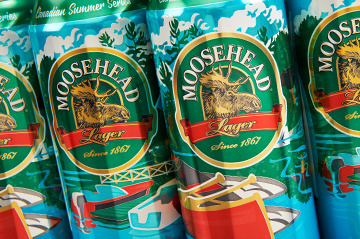 Shikatani Lacroix was asked to create an identity for Moosehead’s new summer product for Atlantic Canada. 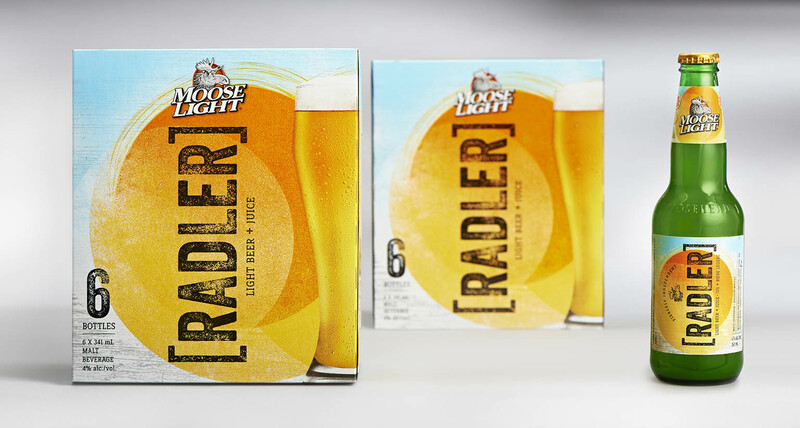 We had to produce a modern, dynamic and interesting packaging and POS design for Moose Light Radler that would appeal to the experiential drinker. In Atlantic Canada specifically, the term “Radler” had little to no top-of-mind awareness. This would create a significant opportunity to develop the segment through a first-to-market strategy. 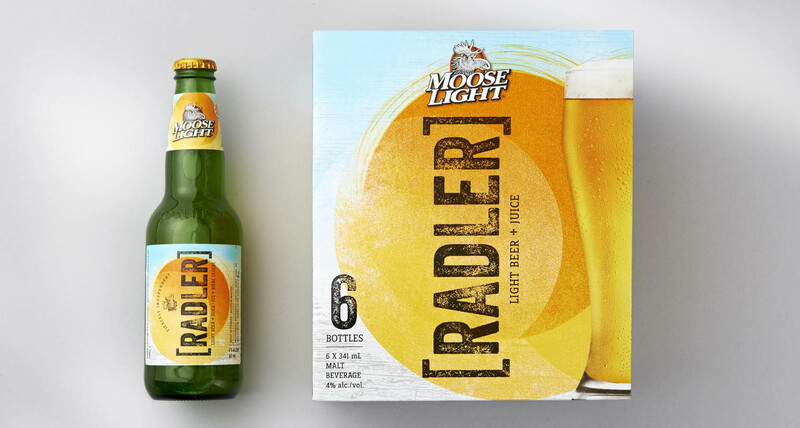 The target audience for Moose Light Radler was equally divided between male and female drinkers with a unique functional attribute – 15 percent juice – that would especially appeal to females. 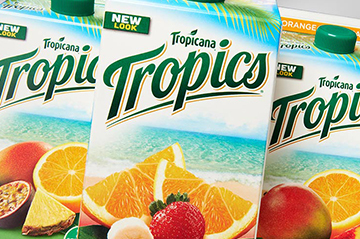 Active, experiential and trendy, the target audience likes to be the first to try and share new products and experiences. S/he is social and embraces summer and all the occasions and experiences that it brings. Moose Light Radler was to be enjoyed at barbeques, cottages, on the golf course, and on patios and with friends. 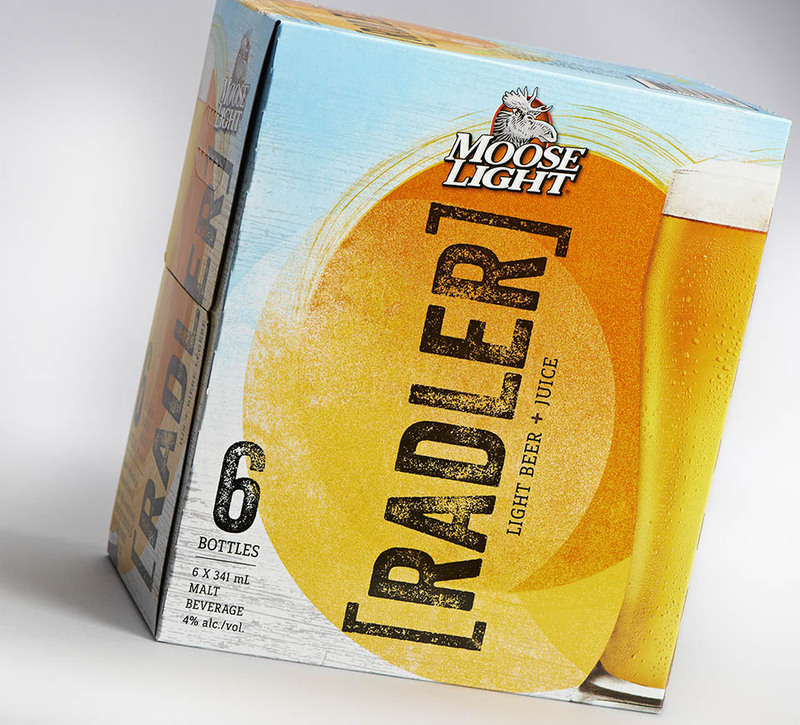 The packaging design for the new Moose Light Radler had to leverage the equity and connection to Moose Light while simultaneously communicating the uniqueness of the product. The main client concern was in creating the right balance. 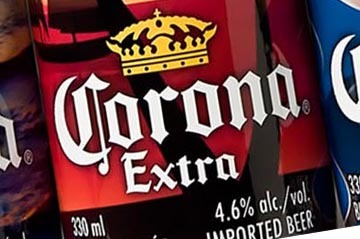 Although the client had very strong equity in the Moose Light brand across the Maritimes, the brand needed to ensure that the end result did not feel like “just another flavored beer.” This product was set to sell in a six-pack bottle format using Moosehead’s iconic green bottle. 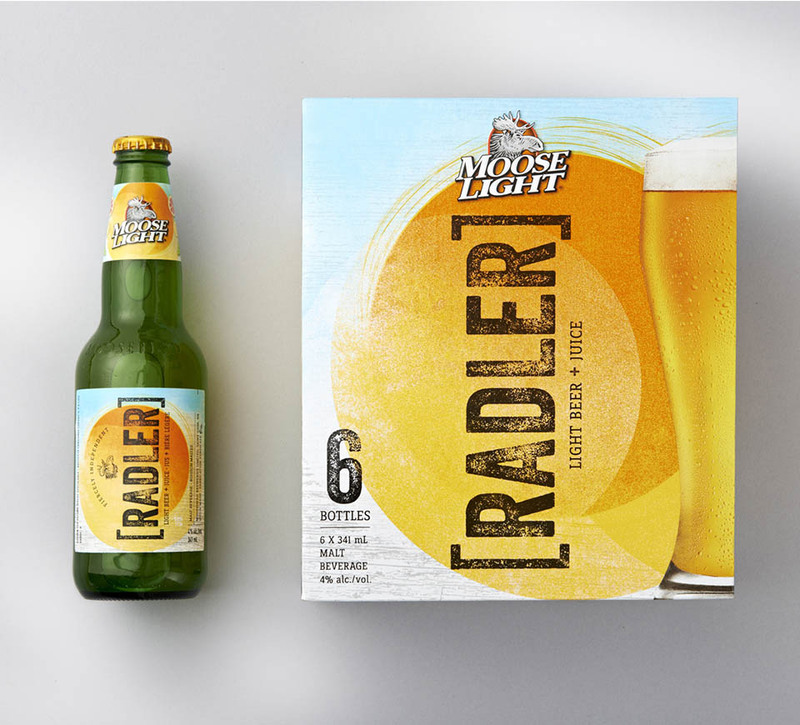 Since its launch, which coincided with summer 2014, Moose Light Radler has proven to be a huge market success in Eastern Canada, both in merchandising and in product quality, and has already become popular with non-beer drinkers, beer drinkers and health conscious/caloric drinkers alike. 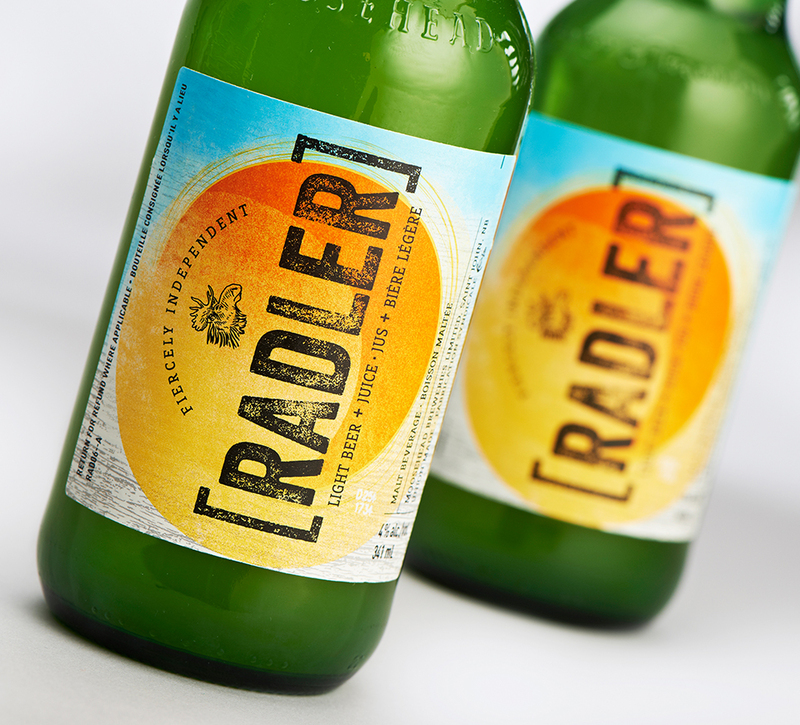 The performance of Radler in the summer 2014 has tripled compared to the company initial expectations, and it has resulted in incremental distribution in government regulated markets. 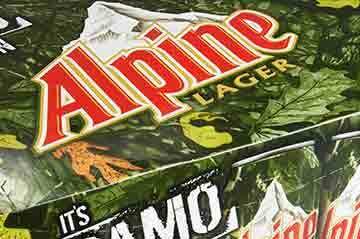 A 12-pack can option has also been added to keep up with the demand.